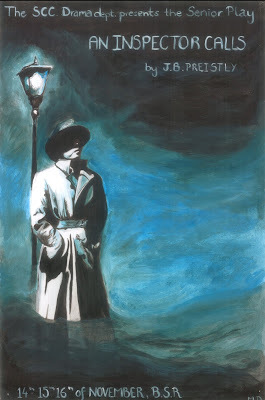 Tonight sees the preview of this year's Senior Play, J.B. Priestley's An Inspector Calls, directed by Mr Peter McCarthy. Rehearsals have been under way since near the start of term. The first performance proper is in the BSR on Friday 15th November, at 7pm, and the second performance the following evening - same time, same place. All parents and their guests are most welcome.